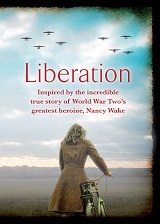 Little, Brown is expecting one of its biggest titles at the London Book Fair next week to be Liberation by Imogen Kealey, a novel based on the exploits of Second World War heroine Nancy Wake. Liberation has been bought for film, with Anne Hathaway set to produce and star. 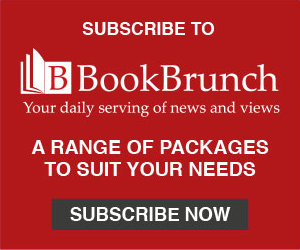 Imogen Kealey is the pseudonym of historical novelist Imogen Robertson, author of novels under her own name as well as two for Wilbur Smith, and screenwriter Darby Kealey, whose credits include the Amazon series The Patriot. Ed Wood, editorial director, signed world rights for Little, Brown imprint Sphere. The agents were Broo Doherty at DHH Literary Agency (Robertson) and Rachel Clements at Abner Stein on behalf of CAA (Kealey). Wes Miller has bought the novel for fellow Hachette imprint Grand Central in the US. Liberation (spring 2020) follows Australian-born Wake as she trains with SOE in Britain after the capture of her French husband by the Gestapo. She parachutes back into France to work with the Resistance, where the Gestapo officer who took her husband is on her trail. At one time, she leads 7,000 fighters and has a bounty of five million francs on her head. Wood said: "The novel of Liberation is one-part superb human drama, one-part cathartic zeitgeist-smashing thriller. It's incredibly exciting and I can't wait to share it with editors and readers around the world." Hathaway said: "Nancy Wake is larger than life in every way - her passion, her personality, her emotions, her righteous anger and most of all, her courage make her a fascinating true life character to play. In a world that is hungry for more inclusive stories, it's time for Nancy's to be told. The greatest generation just got greater."